In the wake of the Charlie Hebdo massacre that killed 12 people, and now the ongoing hostage situation, in Paris, France's right wing wants more extreme means of punishment. 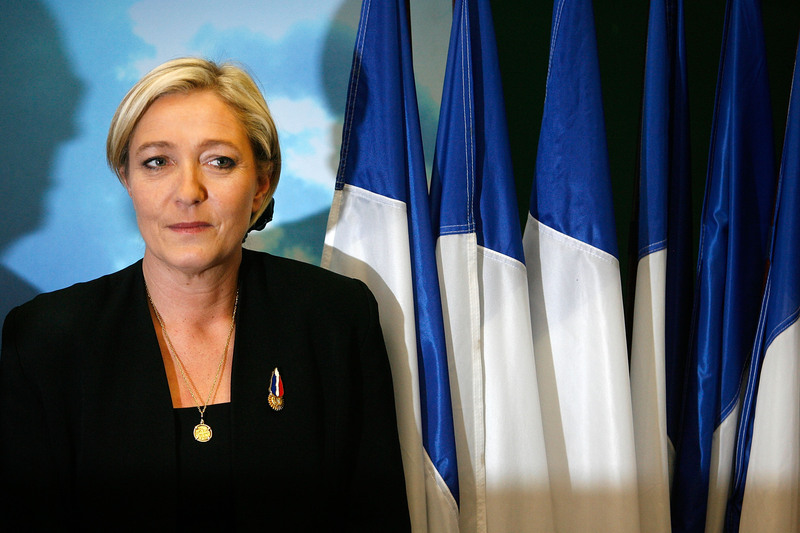 President of France's Front National party Marine Le Pen wants to reintroduce the death penalty. On Thursday, Le Pen told French channel France2 that she wants to introduce a referendum on reinstating capital punishment if she gets elected president in 2017. The conservative leader has long been accused of harboring anti-Muslim views. But how likely is it that France will actually bring back the death penalty? I personally believe that the death penalty should exist in our legal arsenal. But she framed it in a way that would give French citizens a choice. I always said that I would offer French citizens the possibility to express themselves on the topic through a referendum. Politically, it's a savvy move. Making her announcement right after a tragedy that united the country in collective anger, which she called "a terrorist attack carried out in the name of radical Islam," could help advance her agenda for capital punishment. Le Pen is capitalizing on the nation's pain, while simultaneously justifying both the death penalty and Islamophobic sentiment.Le Pen noted that execution would only be reserved for "the most heinous of crimes." She then expressed her usual views on Islamic fundamentalism, only this time within the context of reinstating capital punishment. Fundamentalist Islam causes thousands of deaths every day in the world. Le Pen's anti-Muslim and anti-immigrant views are well-documented, and in fact, her hardline ideology has made her extremely popular in France. A poll from last year revealed that she was twice as popular as President Francois Hollande among the French electorate. Even so, reintroducing the death penalty is a tall order, even for her. France abolished the death penalty in 1981, and after that has taken several further steps to prevent its establishment. Currently, the only way capital punishment could be reinstated would be if France unilaterally overrode several treaties. In 1985, France ratified a protocol to the European Convention on Human Rights that stated the death penalty cannot be reestablished unless the country was at war or the convention was denounced. In 2002, France, along with 30 other countries, signed another protocol to the European Convention that prohibited the death penalty even in times of war. Two years later, a bill was proposed before the French National Assembly that would allow the death penalty for terrorist acts, but it was not adopted. In 2007, the Congress of France voted overwhelmingly to modify the Constitution to say "no one can be sentenced to the death penalty." Currently, there is an absolute ban on capital punishment in the European Union, enshrined in the Charter of Fundamental Rights of the EU and the European Convention on Human Rights, as noted above. The only countries that still practice some form of the death penalty are Belarus and Kazakhstan.